During the last 15 years, the book industry has gone through a lot of change. First-time authors are self-publishing in record numbers. 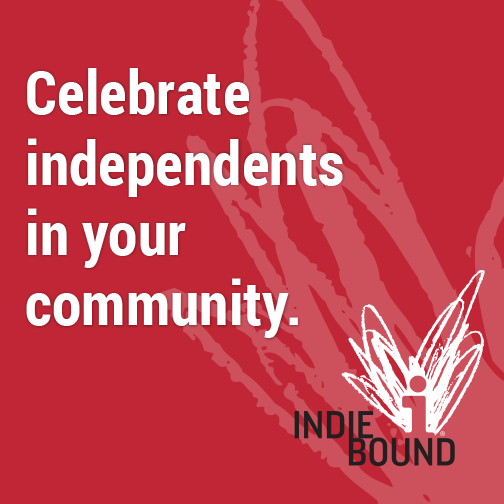 Print on demand has been a shot in the arm for indie authors. The big chain bookstores have almost vanished, and the independent bookstores total half the number they use to. The internet is littered with book marketing strategies and people servicing authors. One of the biggest changes is the evolution of Amazon and their quest of becoming a dominating force in the book industry. Their focus is giving consumers the most choices and best pricing available. As a consumer ordering vitamins this is great, but as an author, it has created many challenges and a mindset that in my opinion is dangerous and can have severe repercussions for the entire book industry. One of these concerns is watching how much emphasis is being put on giving away free books as a primary marketing strategy. As a marketing professional, I can understand the concept of promoting a book with a discounted price for a brief period. I know that giving away free books to bloggers and reviewers is a necessary part of launching any book. But giving away an entire book with the hopes of building a loyal fan base is a dangerous strategy and slippery slope. In my blog article titled Giving Away Free Books I discuss the appropriate times to use this strategy. ‘Free’ books does not mean new followers or book reviews- When an author puts their book out on the market for free, a good percentage of the consumers that download the book don’t even read it. Of the people who do read it, a large portion won’t take the time to write a review, leaving the author with little return. ‘Free’ is in the eye of the beholder- When something is available for free, it’s viewed differently than something priced appropriately. The value of the free item is stripped as it gets lumped in with all the other free items. The author’s work won’t get a chance to shine, and the intrinsic value is diminished. I don’t believe the goal of being an author is to take months to write a book, hard-earned money to self-publish it just to give it away for free? Free books have created a mindset that is dangerous and can have severe repercussions for the entire book industry. ‘Free’ sets a precedent that is tough to change- So many promotional companies thrive on the deep-discounted/free model which only encourages that thinking. ‘Free shipping’ is a similar situation. Some promotional companies won’t even consider a book that isn’t available for free or less than $2.00. The more authors succumb to this marketing strategy, the more it becomes the norm. Over the past few years, online retailers have moved to the free shipping model as a way to entice customers to make a purchase. We are so used to free shipping that we tend to ignore companies that don’t offer it. Can you imagine the industry moving back to charging customers for shipping? If authors keep their pricing at a reasonable level and focus on a variety of well-thought-out marketing strategies people will still buy their books. Don’t take the ‘Freesy’ way out- There are many strategies that authors can use to promote their books. But it starts with an understanding of what goes into marketing and the time and challenges an author will face along this road. No magic pill will replace a well-designed book marketing strategy, supported by hard work, creative thinking, persistence and partnering with the right people. As a publisher and service provider married to an author, I watch for trends that could affect the integrity of the industry. I cringe when I hear about authors being taken advantage of, online resellers putting more emphasis on price than content, or when authors are misinformed about topics relating to their book project. I know that several of our industry organizations like Alliance of Independent Authors and Independent Book Publishers Association have raised their voice on issues that affect the industry. But, is this enough? Although this blog article is my opinion, it is shared by other industry veterans, some of whom have spoken out already. Maybe this trend will change over time, or perhaps it can’t as hundreds of new books come online each day all jockeying for a reader’s attention. Maybe it starts with a few and grows like the momentum seen from the high school students of Stoneman Douglas. What are your thoughts on the topic? We would love to hear from you. Feel free to like, comment and share this article.